I know it’s been literally almost year since my last post , so much has happened I mean SO MUCH!!! . From my blog been hacked to getting it back to it crashing again and blah blah. I mean there is only little one can handle and yes I am back to my forever loyal starting point my “blogger spot”. 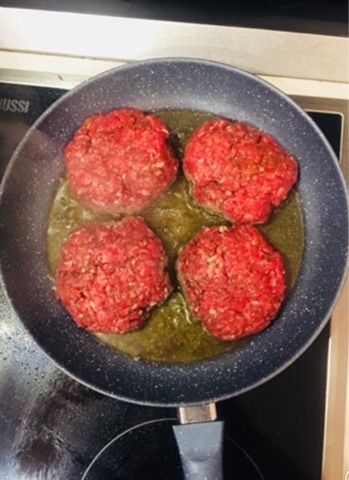 So I am sorry for been away for this long but I am back with more YUMMY RECIPES and INTRESTING LIFESTYLE POSTs. 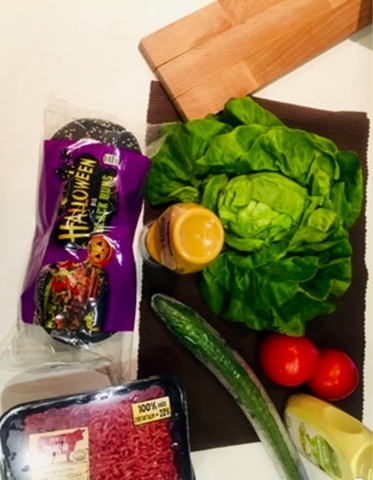 SO let’s jump right into this JUICY HOMEMADE BURGER. 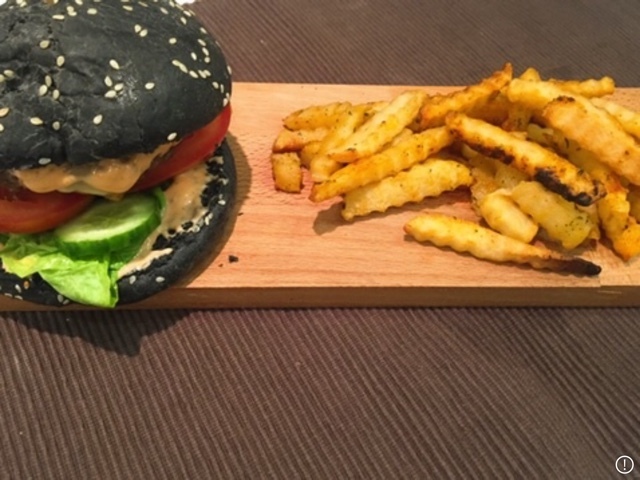 As you can see from the picture for this beef burger, I used black burger buns because it was during Halloween period I created the recipe. 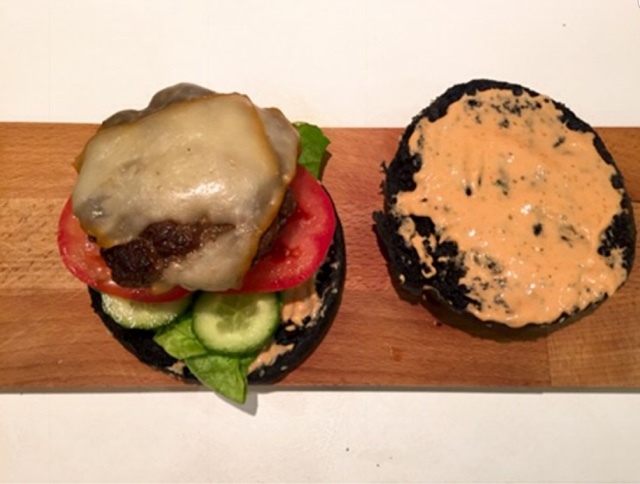 · On flat plate, place the bottom part of the bun then you spread your burger sauce on the bun ,add your vegetables on top and the patty and lastly the top most part of your bun with a spread of the burger sauce . 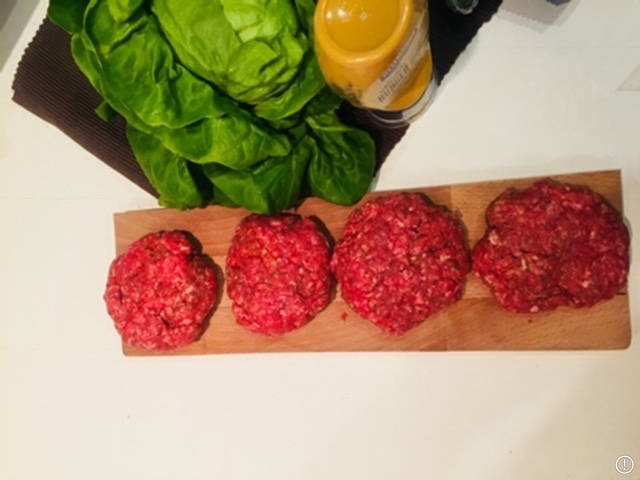 ENJOY YOUR HOMEMADE BEEF BURGERS. PS I served mine with some oven grilled fries. 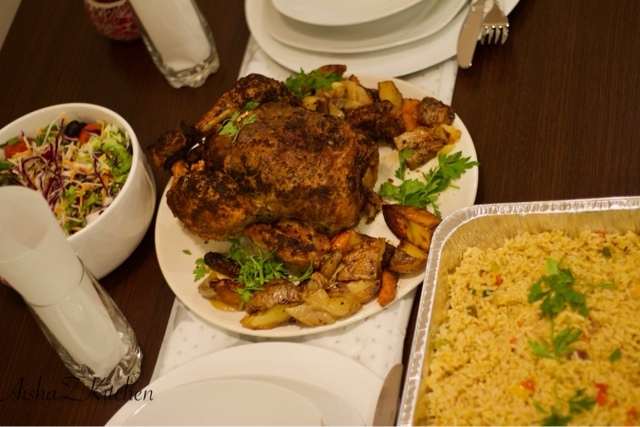 Thank you for reading my post, don’t forget to follow me on my socials for cook along and recipes tips. Heyyyy Guys... Welcome to another Yummy Episode of AishaZkitchen!! Before I Jump into Recipe Writing , As today Marks the Blog's First Year, I know right!! Its been a year already. I want to thank you Y'all My AishaZkitchen Family for the Endless Support . I Promise to be moreconsistent right here . More Years of Yummy Recipes from My Kitchen to Yours. Don’t forget to leave a comment.. X! 1. Place large pot on medium high heat , add two cooking spoons of oil. When the oil gets hot , add blended paprika (3), tomatoes and onion . Fry for 10mins and keep stirring in between time. 4. Then it comes to a boil, reduce the heat to medium - low heat and add per-boil pasta . cover let it pasta cook through . 5. Add chopped paprika , spring onions and dried herbs . 6. Cover and let it simmer for 5mins. 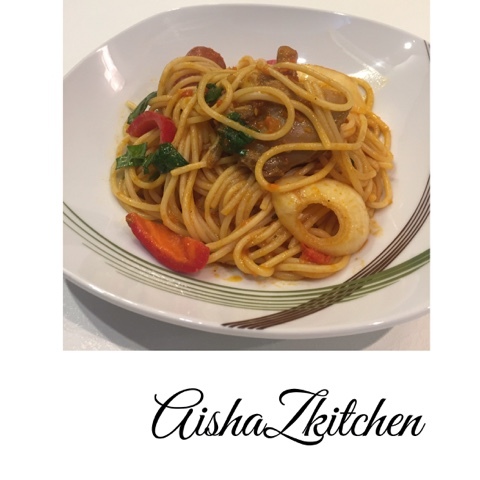 Facebook Page - AishaZkitchen . 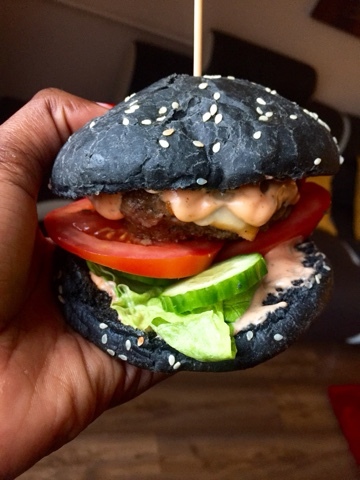 Thank you for reading My Recipe, Make Sure you comment and Send your Feedbacks X! 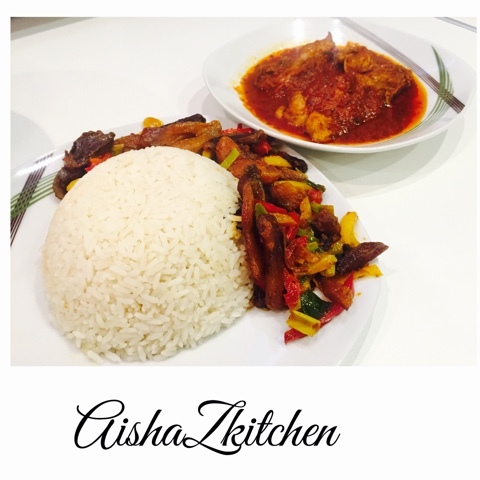 Aishazkitchen wants to Thank you Y”ALL for the amazing love and support throughout the year . 2017 is going to be a better year for us here by HIS grace , more projects and amazing recipes coming your way. 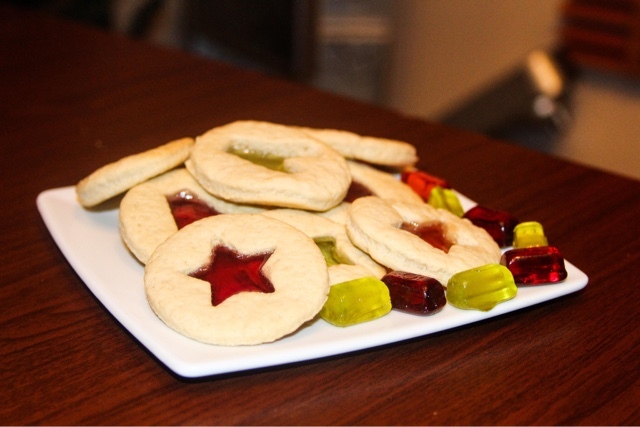 So lets get baking the last recipe of the year!!!! 6. Pour your batter into the bread pan and add pieces if chocolates on the surface of the batter. 7. Bake for 40mins at 180 degrees or until inserted toothpick comes out clean. Thank you for reading my recipe X! Make you leave a comment and Send in your feedbacks!! 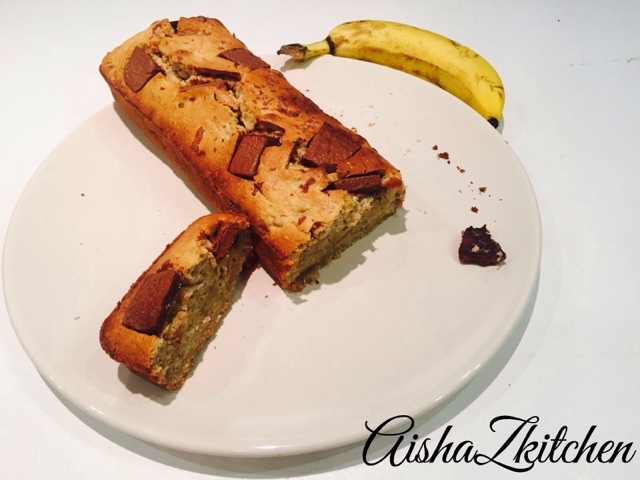 A VERY YUMMY HOLIDAY RECIPE’AISHAZKITCHEN IN COLLABORATION WITH BROWNIE.!!! 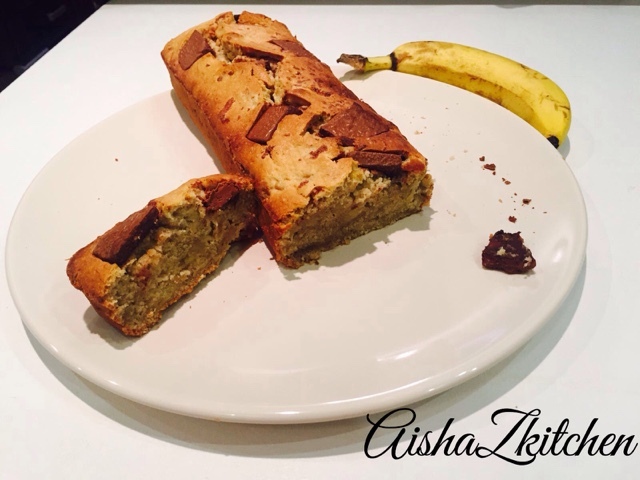 and A VERY YUMMY HOLIDAY RECIPE’AISHAZKITCHEN IN COLLABORATION WITH BROWNIE.!!! List of ingredients for coconut rice. 12. 2 cups Chicken stock. 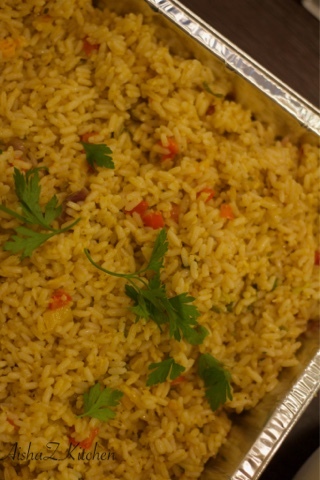 ENJOY YOUR COCONUT RICE FROM AISHAZKITCHEN !!! 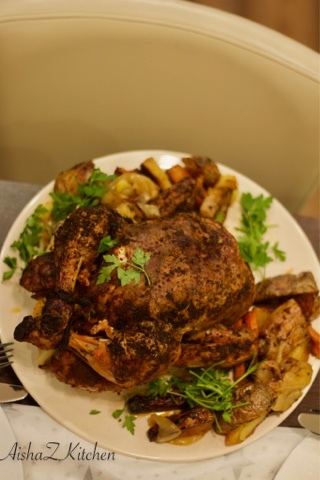 SO lets get prepping our full chicken!!! List of Ingredients for full chicken. 9. 5 large potatoes and 3 large carrots. 8. 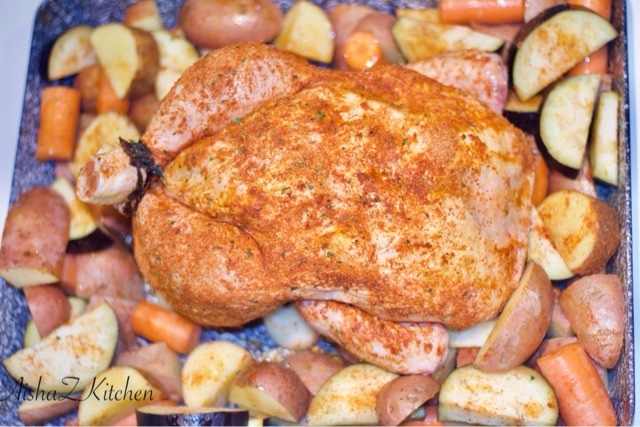 Place the chicken in the oven to grill for 1 hour 30 mins or 1 hour 45 mins . ENJOY YOUR AISHAZKITCHEN JUCIY GRILL CHICKEN!!! 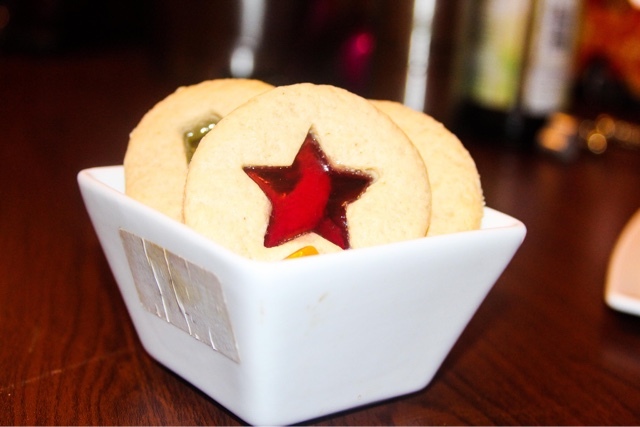 Make sure you sure out Bella , from the brownie.com for YUMMY cake and cookie recipes. 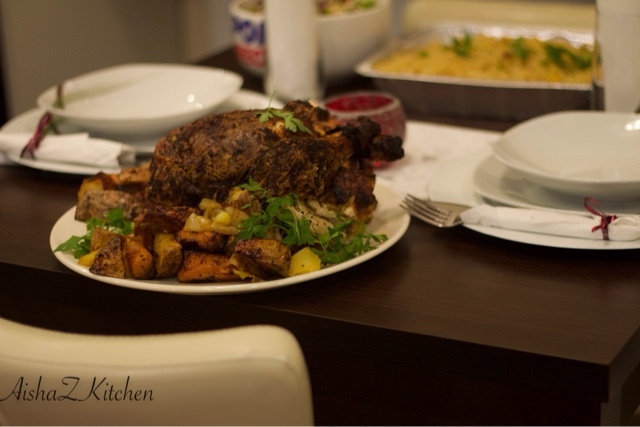 AishaZkitchen wishes you an amazing Hoilday season with your family X!! 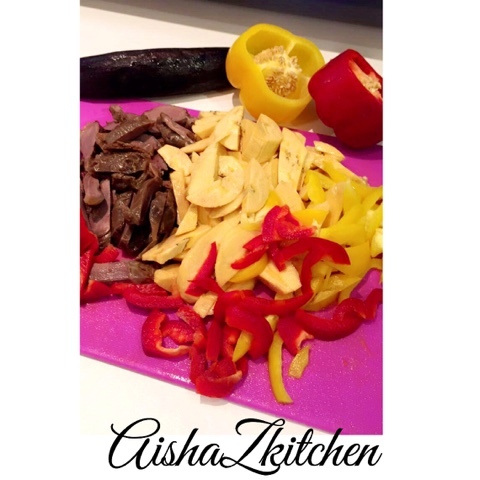 GIZDODO WITH A TWIST FOR AISHAZKITCHEN.!! Heyyyy Guys! I hope Y'all are having a good week so far .. 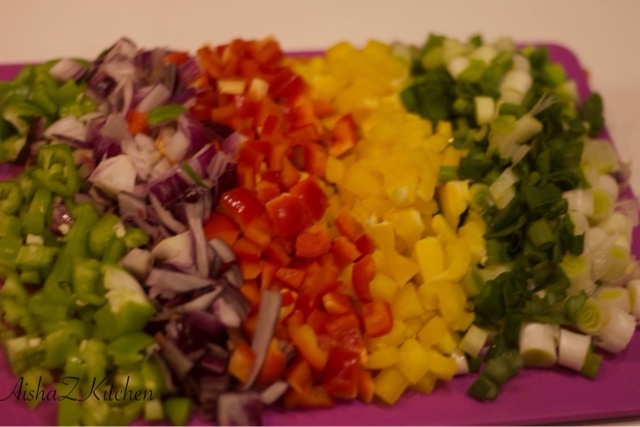 So basically AishaZkitchen twist in the Gizdodo recipe is Stir Fry Gizdodo!!! 0. 2 Ripe Plantains chopped into strip shapes. 0. Paprika powder and garlic powder. 0. A pinch of Salt to taste. 0. Add 1 tablespoon of paprika powder and half a cup of water and stir fry for 3mins . 0. 85g is white Sugar. 0. 80g of Icing Sugar . 0. In a large bowl , pour dry Ingredients, 70g of butter , 2eggs beaten and the yeast mixture . 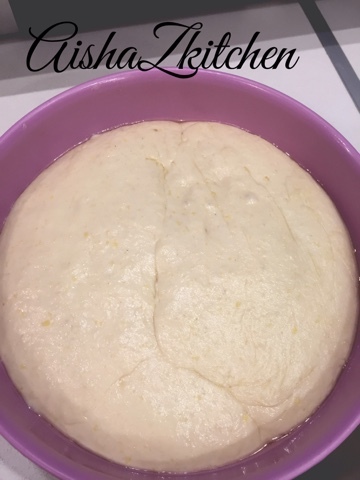 Mix it well until it forms a nice dough. 0. Cover the dough with a clear plastic wrap and place in warm place until it doubles in size or for 30-45 mins. 0. Brush the dough with 70g of soften butter on it , then you spread the cinnamon and brown sugar mixture on it. 0. Brush the dough with melted butter , Bake the CINNAMON ROLLS for 15mins or until golden brown color on top. 0. While in the oven , you prepare the glaze . In a bowl add cream cheese, icing sugar, 1 teaspoon of vanilla extract and mix it together. 0. When your cinnamon rolls are ready , allow to cook for 2mins and Pour the Rain of your Glaze lol. 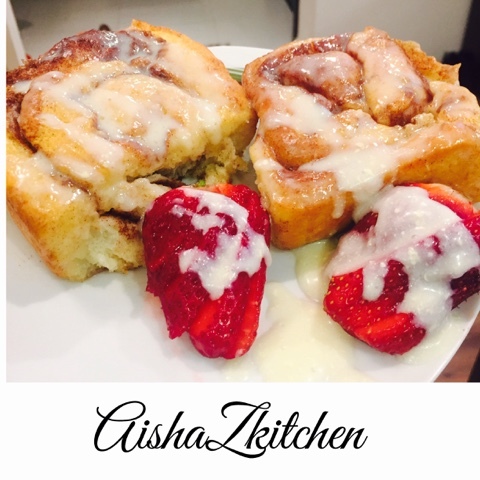 ENJOY YOUR YUMMY CINNAMON ROLLS FOR AISHAZKITCHEN..! 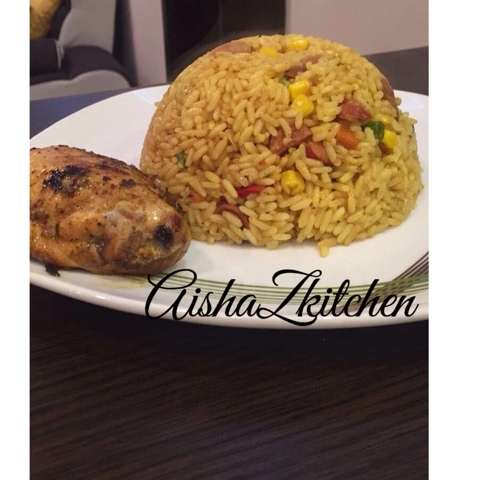 NIGERIAN FRIED RICE WITH LONG GRAIN RICE.! Hello Guys! I am so sorryyyyyy I have been MIA for like , what !? Months now . 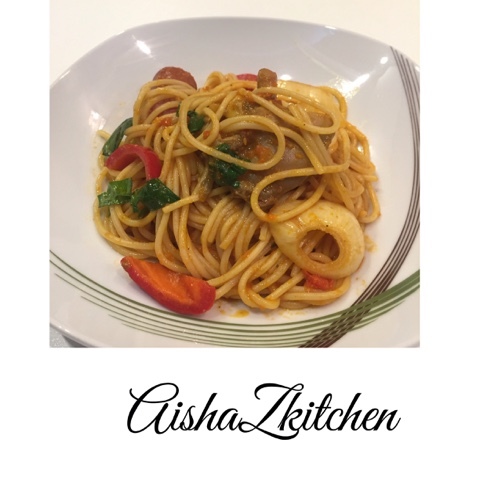 But trust me AishaZkitchen is here with exciting Recipes and a New Project is Coming your way soon .X! INGRIDENTS FOR NIGERIAN FRIED RICE. 8. Dried ginger and garlic. METHOD OF COOKING FRIED RICE. 1. Place a pot with water on medium high heat , the water should be enough to cover the rice completely when poured inside. Allow water to come to a boil for 7mins. 2. Wash rice with cold water and pour inside the pot of water . Add a tablespoon of each dried herbs, 2 tablespoons of curry powder and a pinch of salt , Cover the pot and let the rice cook for 20-25mins. 3. Wash the rice under running cold water in the sink, cover and keep aside. 4. Place a frying pan or wok on medium high heat. 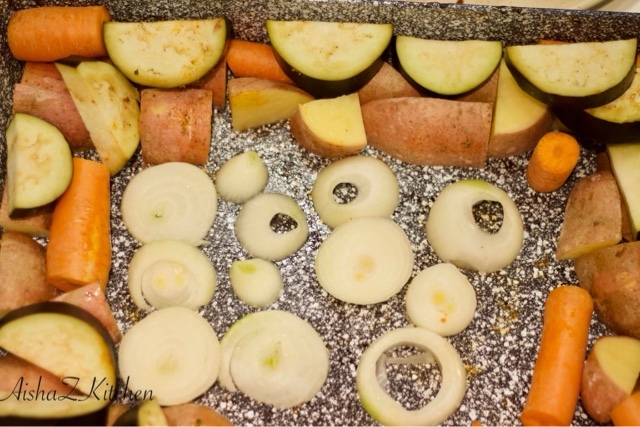 Add 1-2 cooking spoons of oil, chopped Veges and sauté for 7-10 mins. 5. While Veges are sautéing add 2 tablespoons of curry , 2 teaspoons of soya sauce , dried pepper , a pinch of ginger , garlic, and add the fried Sausages . 6.Place a pot on medium high heat, add 2 cooking spoons of oil and add the rice bits by bits and toss in the pot. 7. Add the sautéed vege mixture on top of the rice and toss it together with the rice and let it steam for 5-7 mins. 8. Your Fried Rice is ready! Enjoy with either grilled or peppered chicken, I made mine with grill chicken. 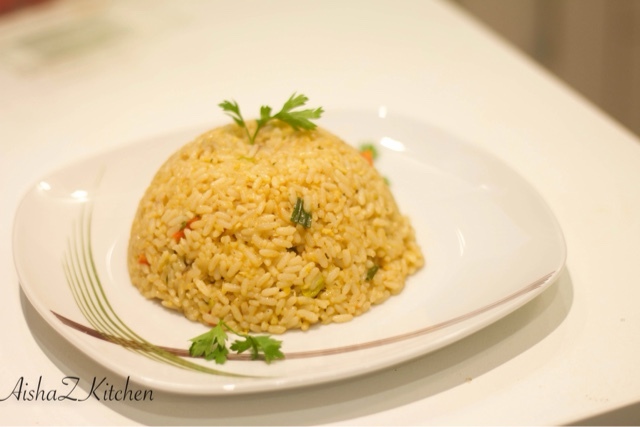 Thank you so much for reading my blog post on Fried Rice X!